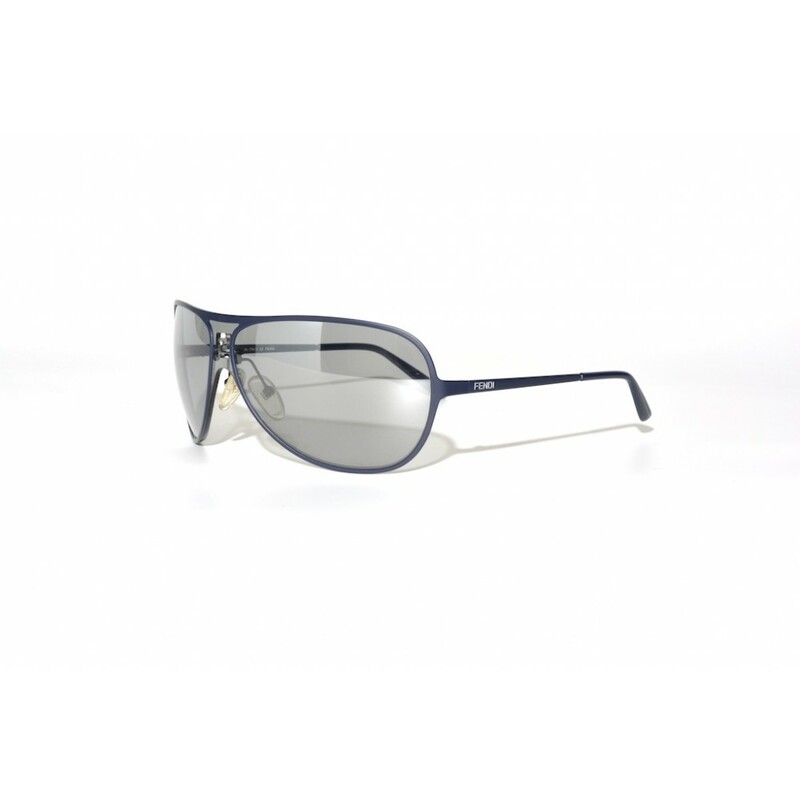 The Fendi FS 453 is a titanium aviator style pair of sunglasses, the use of titanium makes this a very lightweight pair of sunglasses. 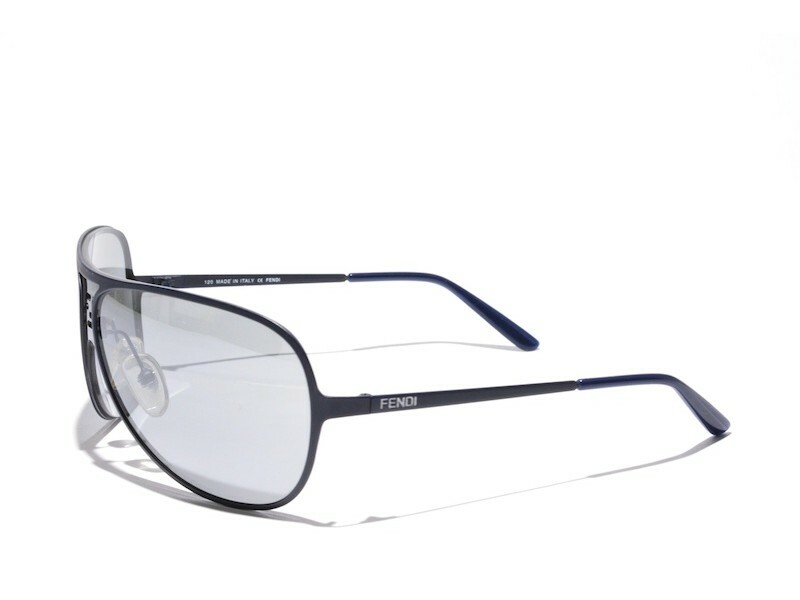 The lens of this pair is made out of one piece and stretches over the whole width of the glasses. By doing this the nosebridge is formed by the lens, which causes the glasses to stand out just a bit more than your ordinary pair of aviators. IMPORTANT! These glasses have some slight scratches on the lenses, they do not affect sight, but they do cause this extremely low price.